Police Administration provides a thorough overview of what police supervisors and administrators need to know. 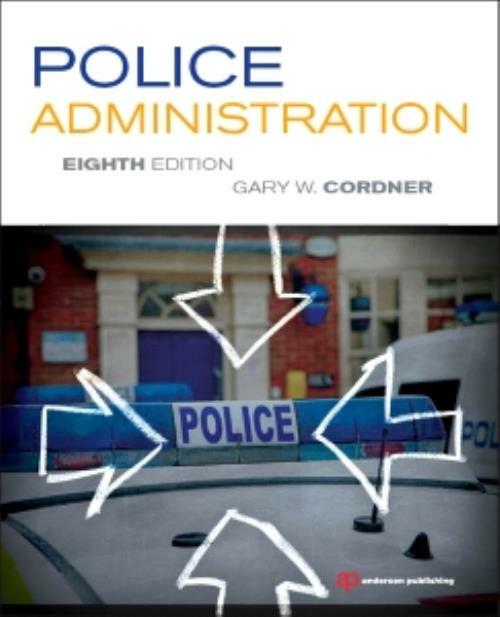 The text examines police administration from four distinct perspectives: a systems perspective (the interrelatedness among units and organizations); a traditional, structural perspective (administrative principles, management functions, and the importance of written guidelines); a human behavioral perspective (the human element in organizations); and a strategic management perspective (communications and information systems, performance evaluation, strategies and tactics, and promising approaches to increasing police agency effectiveness). In addition to detailed coverage of management functions and organizational principles, the book emphasizes diversity principles and developing police agencies as learning organizations. A concluding chapter covers contemporary issues, including community engagement, collaboration, globalization, racial profiling, mass media and social media, cyber-crime, terrorism, and homeland security. - The eighth edition includes analysis of timely matters such as technology, the police intelligence function, information sharing, interagency cooperation, and more. - Each chapter is enhanced with learning objectives, discussion questions, and feature boxes. - Six case studies with discussion questions provide opportunities for the reader to review real-world situations. Gary Cordner joined the Department of Criminal Justice at Kutztown University in 2008, after teaching for 21 years at Eastern Kentucky University, including five years as Dean of the College of Justice & Safety. At EKU he also founded and directed the Regional Community Policing Institute and the International Justice & Safety Institute. Before EKU he worked as a police officer and police chief in Maryland and taught at Washington State University and the University of Baltimore. Gary is currently a Commissioner on the Commission on Accreditation for Law Enforcement Agencies.